For a few years during the wars in Iraq and Afghanistan, I worked as a civilian counselor on various military bases. I counseled service members who were getting ready to deploy into combat or just coming home from their time in combat. My days were a steady swirl of casual conversations, intense counseling exchanges with veterans, meetings with spouses and family members, and frequent briefings with troops who had just arrived back home. The briefings were meant to let the combat veterans know about the counseling services offered by the program I worked for. I let that sink in for a minute, and then I told them, “I really like my job. I want to keep it. Telling anyone you came to see me is not going to happen.” After making that clear, I watched a few of them sit forward, and I hoped they were starting to believe they might be able to ask for help without suffering repercussions. I was glad things went well while I was on stage, but I knew I usually had the most impact during the breaks when I hung around the courtyard of the community building with soldiers, chatting and making contact one-on-one. While I was chatting, I noticed a young soldier standing off to the edge of the group. She wasn’t talking to anyone and looked awkward — like someone who always gets left on the sidelines. Concerned she might be having a hard time, I made my way over to her. I glanced at her name tag and saw that I was talking to SPC Katel. “Hey, good morning.” I leaned against the wall next to her, looking out at all the soldiers in the courtyard. Katel didn’t make eye contact, and her voice was so quiet I could hardly hear her response. I had a hunch that she was just very shy, so I lowered the intensity of my voice and asked her where she was from. I wondered what topics might help her relax a little, so I kept probing. With this question, she turned to face me. A grin spread across her face and her eyes sparkled with pleasure. The change in her demeanor was so sudden, it took me by surprise. “I’m happy for you,” I said, and we spent the next 10 or 15 minutes talking about what kind of dog Moti was (“Pure mutt,” Katel said), where he got his name (a suggestion from a family friend who lives in India), and the kinds of tricks she’d taught him. Katel was animated, engaged, and eager while she talked about Moti. It was as if the months of stress and loneliness disappeared. Our conversation made me thoughtful about all the different ways soldiers find rest and recovery between deployments. Often, when soldiers returned from combat, they were given an extended leave, then they were assigned to new bases or new duties. In that sequence, leave became a critical time for recovery from the pressure and exhaustion of deployment. For Katel, time with her dog would be the soothing tonic of recovery, and I imagined time with pets was key for many soldiers during leave. For others, leave entailed time with family: beach vacations with the children and spouse, Mom’s home cooking, fishing trips with cousins. It struck me that connection with someone dear was very often the path to recovery and reorienting in daily life once soldiers were back home. Sometimes that connection was with Mom or Dad, or a sweetheart or spouse, or a child. Sometimes, it was with a dog like Moti. About the author: Elizabeth Heaney, MA, had been a therapist for nearly 30 years before she began counseling military personnel. During her years on bases, she spoke with thousands of soldiers and spouses. 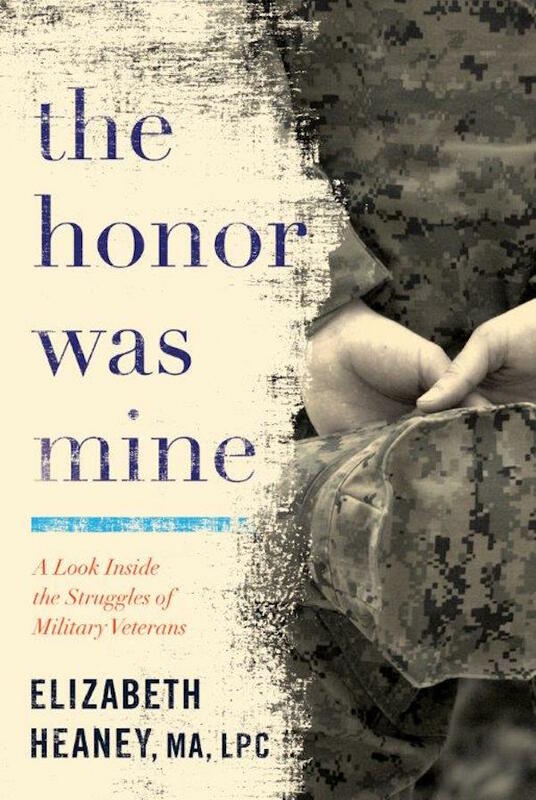 The stories in her book, The Honor Was Mine, are infused with an outsider’s ongoing discovery of the military world’s values and honor, rules and norms, reticence and heart. Elizabeth had a beloved Chow who passed before she began traveling from base to base, and she plans to adopt again when she can. Follow her at elizabethheaney.com. The post How a Dog Named Moti Helped Me Connect With a Soldier in Need appeared first on Dogster.